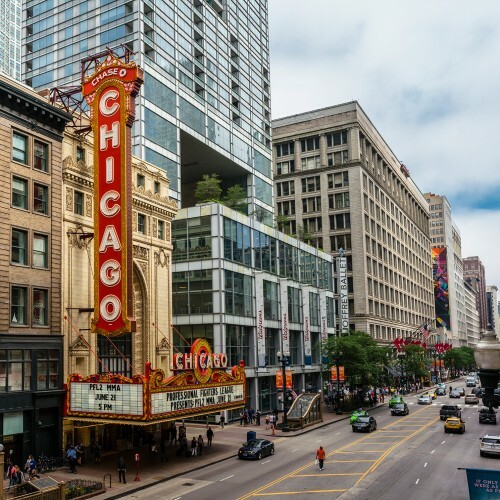 Downtown Chicago (sometimes referred to as the Loop) is now one of the fastest growing residential neighborhoods in the Chicagoland area. 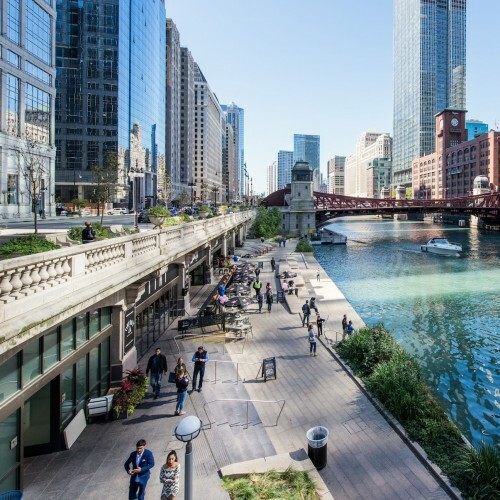 But downtown living hasn’t always been so trendy. 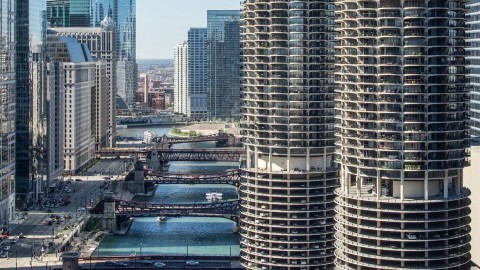 When architect Bertrand Goldberg envisioned Marina City, it was an urban experiment designed to draw middle-class Chicagoans back to the city after more than a decade of suburban migration. 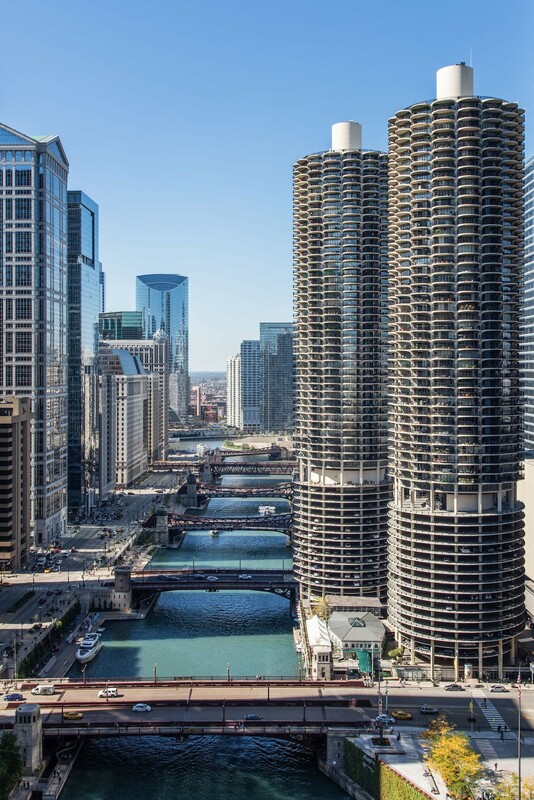 By creating a city within a city, Goldberg hoped the convenience of living and playing close to work would help make Marina City a success. 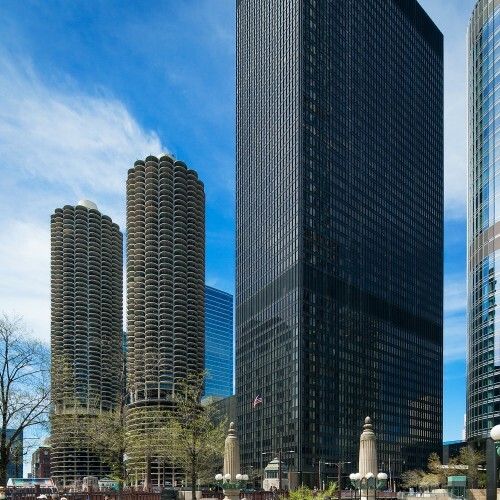 After all, the mixed-use development was so much more than just those two “corncob towers.” When completed in 1967, it included two residential towers, plus an office building, a theater, parking for your car or boat and plenty of retail space. 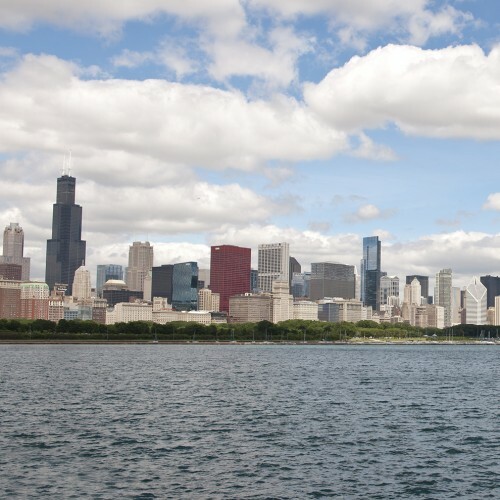 But were Chicagoans ready to move back to the city from the outlying suburbs? 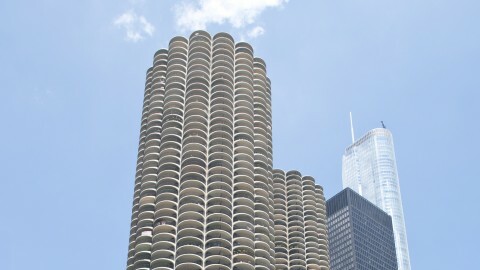 If Goldberg’s intention for Marina City was to get residents living close to work, it should be considered a wild success. 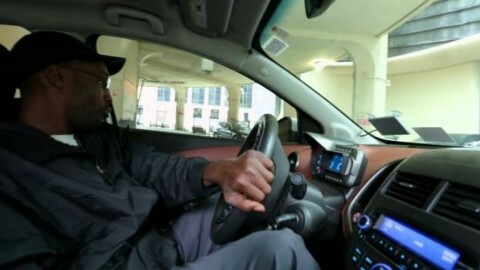 When the development opened, eight percent of residents worked within the development and 80 percent could walk to work. 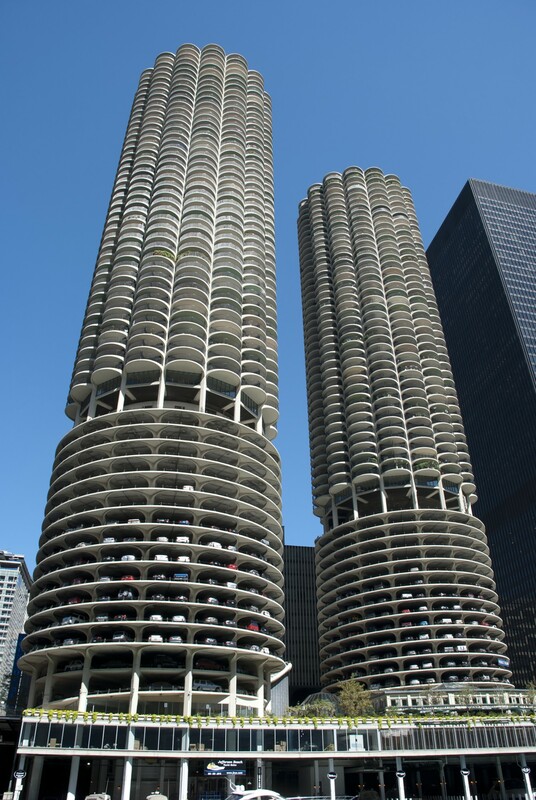 Marina City was certainly a vision for a new way of living in the 1960s. 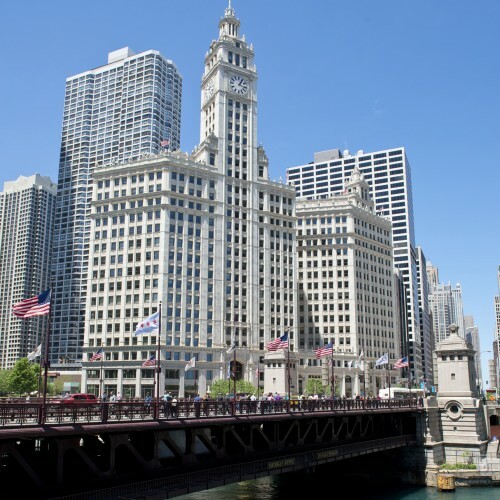 And the vision was one Chicagoans embraced then and still do today. 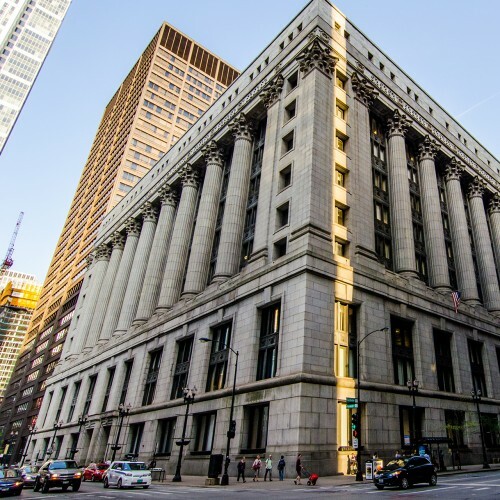 There are now many residential mixed-use developments in the Loop. 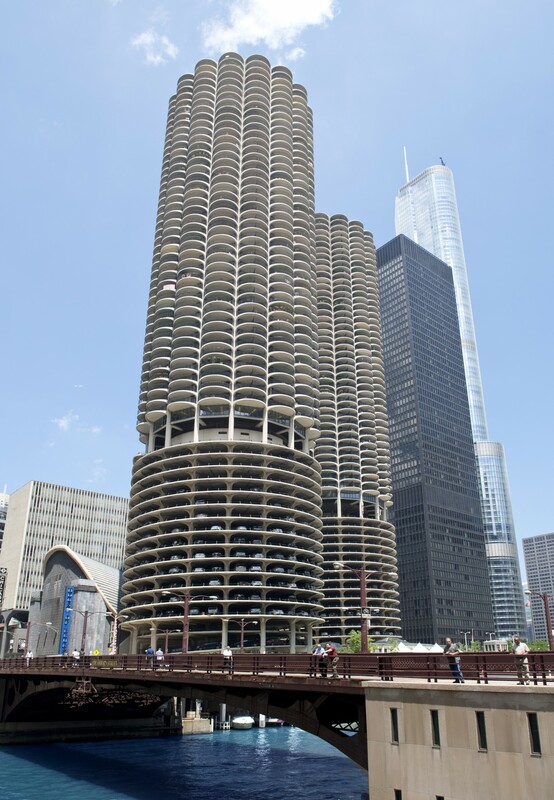 Marina City was a concept and development very much ahead of its time. 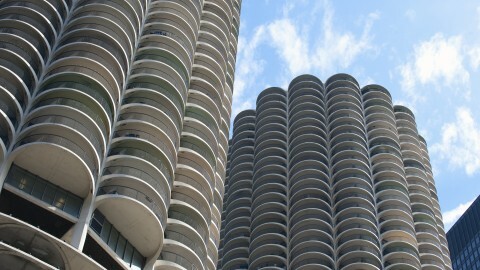 The petal-shaped garage floors and balconies are cantilevered from perimeter columns. The towers’ central cores were built to full height before most of the habitable structure was raised around them. 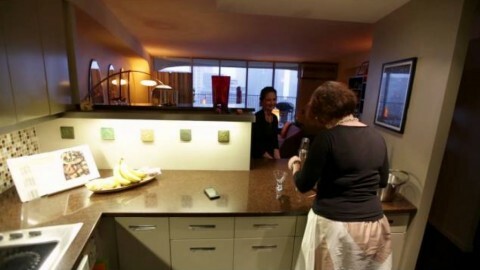 Architect Bertrand Goldberg famously considered architectural glass boxes to be "psychological slums." 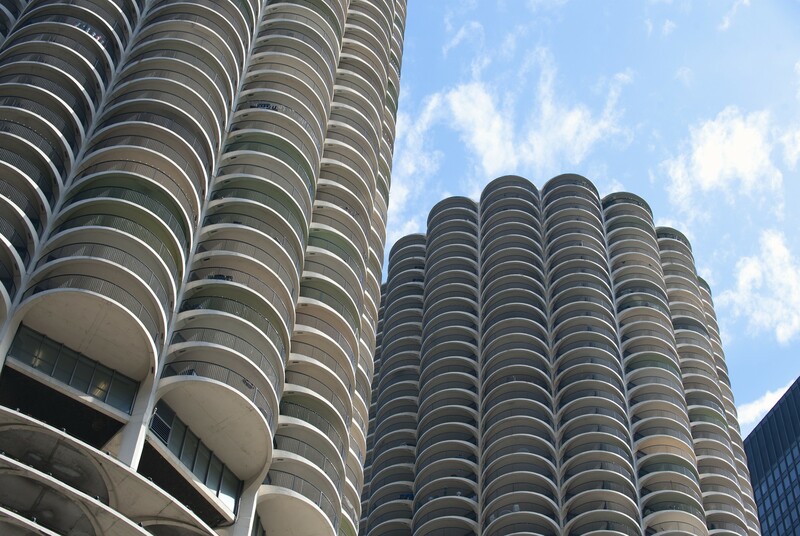 Forward-thinking architect Bertrand Goldberg was a student of Ludwig Mies van der Rohe, and the influence of Mies’ Modernist principles can be seen in his work. 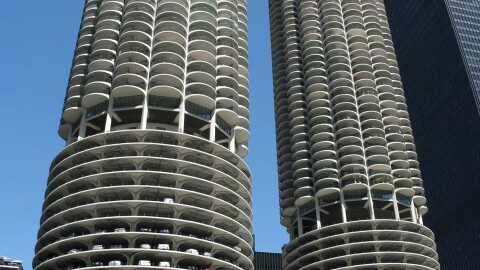 But his own ideas of modular, prefabricated, curved forms are also highlighted in the design of Marina City. 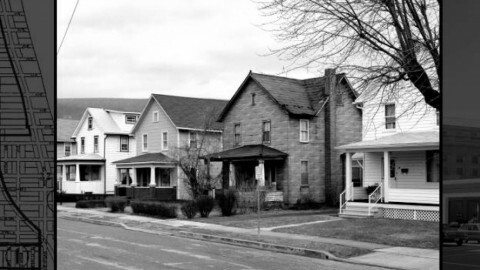 Goldberg believed that since no right angles exist in nature, none should exist in architecture. 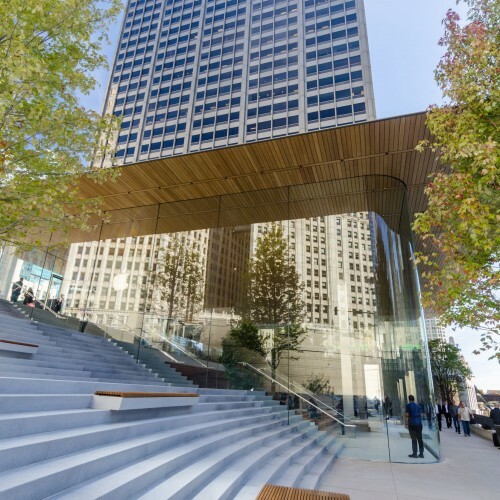 That belief is clearly at work in the 65-story residential towers’ design. 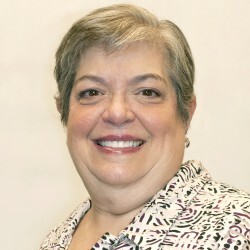 Goldberg compared the bays on Marina Towers to the petals of a sunflower. They radiate from the building’s strong central core and provide stunning balcony views for each wedge-shaped residential unit. 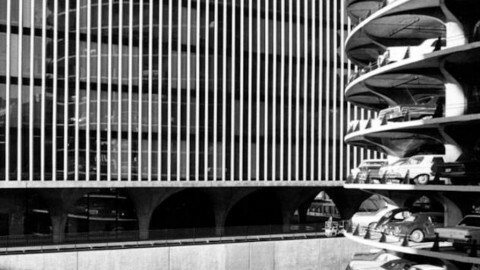 The curvilinear reinforced concrete forms became a trademark of Goldberg’s style.